In the end we are left with an important question: So what? 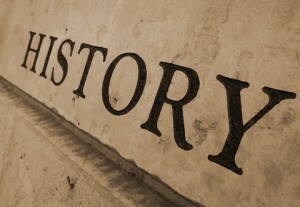 What is the importance of the history of psychol­ogy? What do we gain? The history of psychology is not likely to serve as an empirically valid treatment for anxiety, nor is it likely to offer a model of how memory works. But that is not the point. It is easily argued that the history of psychology offers some instrumental benefits. The examination of psychology’s past provides not only a more meaningful understanding of that past, but a more informed and enriched appreciation of our present, and the best crystal ball available in making predictions about our field’s future. It aids critical thinking by providing a compendium of the trials, tribulations, and advances that accrue from the enormous questions we ask of our science and profession, and it offers the opportunity to reduce the interpersonal drift we seem to experience. In recent years, psychologists have become estranged from one another in ways that were unknown not all that long ago. Yet we share a connection, however tenuous, and it is found in our shared history. At the risk of being labeled Whiggish, we would add that the history of psychology, professional and otherwise, has contributed to a corpus of knowledge that is real, tan­gible, and capable of improving the quality of life of all living things, including our planet. There are few secrets; we know how to encourage recycling, we understand effective ways of treating drug addiction, we have methods for alleviating some of the suffering of mental illness, we can provide tools to improve reading skills, we can design good foster homes—the list could get quite long. Our knowledge is a powerful tool that has developed over time and is a narrative worth knowing. Like any good story, it has its heroes and its villains, it is set in a time and place, and it offers us a message we can all hear and use. American Psychological Association, Committee on Training in Clinical Psychology. (1947). Recommended graduate train­ing program in clinical psychology. American Psychologist, 2, 539-558. Anderson, P. (1998). The origins ofLondon: Verso. Baker, D. B. (2004). Thirty-five years of archival achievement. In D. Baker (Ed. ), Thick description and fine texture: Studies in the history of psychology (pp. vii-x). Akron, OH: The University of Akron Press. Baker, D. B., & Benjamin, L. T., Jr. (2000). The affirmation of the scientist-practitioner: A look back at Boulder. American Psychologist, 55, 241-247. Benjamin, L. T., Jr. (1990). Involving students and faculty in preparing a departmental history. Teaching of Psychology, 17, 97-100. Benjamin, L. T., Jr. (2006). A history of psychology in letters (2nd ed.). Malden, MA: Blackwell. Benjamin, L. T., Jr., & Baker, D. B. (2004). From seance to sci­ence: A history of the profession of psychology in America. Belmont, CA: Thomson/Wadsworth. Boring, E. G. (1929). A history of experimental psychology. New York: Century Co.
Carr, E. H. (1961). What is history?New York: Random House. Collingwood, R. G. (1946). The idea ofLondon: Oxford University Press. Fancher, R. E. (2004). A tale of two institutions: York University’s history of psychology program and the Archives of the History of American Psychology. In D. Baker (Ed. ), Thick descrip­tion and fine texture: Studies in the history of psychology (pp. 162-173). Akron, OH: The University of Akron Press. Felix, R. H. (1947, December 12). Memo to National Advisory Health Council. (Shakow Papers, M1375). Akron, OH: The University of Akron, Archives of the History of American Psychology. Freedheim, D. K. (Ed.). (2003). History ofIn I. B. Weiner (Series Ed. ), Handbook of psychology (Vol. 1, pp. 492-495). New York: Wiley. Fuchs, A. H., & Viney, W. (2002). The course in the history of psychology: Present status and future concerns. History of Psychology, 5, 3-15. Furumoto, L. (1989). The new history of psychology. In I. S. Cohen (Ed. ), Stanley Hall lecture series (Vol. 9, pp. 5­34). Washington, DC: American Psychological Association. Gilderhus, M. T. (1992). History and historians: A historio-graphical introduction (2nd ed.). Englewood Cliffs, NJ: Prentice Hall. Guthrie, R. V. (2003) Even the rat was white: A historical view ofpsychology (2nd ed.). Boston: Allyn & Bacon. Hilgard, E. R., Leary, D. E., & McGuire, G. R. (1991). The history of psychology: A survey and critical assessment. Annual Review of Psychology, 42, 79-107. Hill, M. R. (1993). Archival strategies and techniques. Newbury Park, CA: Sage. Leahey, T. H. (1986). History without the past. ContemporaryPsychology, 31, 648-650. Philogene, G. (Ed.). (2004). Racial identity in context: The legacy of Kenneth B. Clark. Washington, DC: American Psychological Association. Pickren, W. E., & Dewsbury, D. A. (Eds.). (2002). Evolving perspectives on the history ofWashington, DC: American Psychological Association. Pickren, W. E., & Schneider, S. F. (2004). Psychology and the National Institute of Mental Health: A historical analysis of science, practice, and policy. Washington, DC: American Psychological Association. Popplestone, J. A. (2004). Reinventing the past through interpre­tation: Reflections on the history of psychology—35 years in the trenches. In T. C. Dalton & R. B. Evans (Eds. ), The life cycle of psychological ideas: Understanding promi­nence and the dynamics of intellectual change (pp. 59-81). New York: Kluwer. Robinson, D. K. (2001). Reaction-time experiments in Wundt’s institute and beyond. In R. Rieber & D. K. Robinson (Eds. ), Wilhelm Wundt in history: The making of a scientific psy­chology ( 161-204). New York: Kluwer. Rubenstein, E. A. (1975). Unpublished interview with Robert Felix. Available from the archives of the American Psychological Association. Schultz, D. P., & Schultz, S. E. (2004). A history of modernpsy­chology (8th ed.). Belmont, CA: Wadsworth/Thompson. Stocking, G. W., Jr. (1965). On the limits of ‘presentism’ and ‘historicism’ in the historiography of the behavioral sci­ences. Journal of the History of the Behavioral Sciences, 1, 211-218. Sturm, T., & Ash, M. (2005). Roles of instruments in psychologi­cal research. History of Psychology, 8, 3-34. Winston, A. S. (Ed.). (2004). Defining difference: Race and racism in the history of Washington, DC: American Psychological Association. Zammito, J. H. (2004). A nice derangement of epistemes: Post-positivism in the study of science from Quine to Latour. Chicago: University of Chicago.